The prime minister said he reiterated and made clear the principles guiding Israeli policy toward Syria. Prime minister Benjamin Netanyahu at a cabinet meeting, June 17, 2018. Israel will strike against Iranian efforts to entrench itself militarily throughout Syria, and not only along the Syrian-Israeli border, Prime Minister Benjamin Netanyahu told Russian President Vladimir Putin and US Secretary of State Mike Pompeo over the weekend. Netanyahu told the weekly cabinet meeting that he spoke with both men and discussed the region with an emphasis on Syria. “First of all, Iran needs to withdraw from all of Syria,” he said. “Second, we will take action – and are already taking action – against efforts to establish a militarily presence by Iran and its proxies in Syria both close to the border and deep inside Syria. We will act against these efforts anywhere in Syria," he said. Khamenei also attacked Arab states that have strengthened ties with Israel in the face of the perceived Iranian threat. Iran's Supreme Leader Ayatollah Ali Khamenei said that Israel is an illegitimate state that "will soon cease to exist" and reiterated his call for a referendum to determine the future of Palestine, Iran's semi-official Iranian Student's News Agency reported Friday. "The Zionist regime's problem is its lack of legitimacy; it is a regime that was established on hollow foundations," Khamenei said in a speech delivered Friday to leading government officials, members of the public, and ambassadors from Muslim countries on the occasion of Eid al-Fitr, the holiday that marks the end of the Muslim holy month of Ramadan. "With divine favor and the aid of Muslim nations, it will surely be destroyed and perish," Khamenei said. "One of the basic goals behind the founding of this regime is fomenting dissension and creating problems among Muslim nations," Khamenei added, "but all historical experience shows that the Zionist regime, which faces a problem of legitimacy, will not remain." "The fact that some of the weak-minded countries of the region have established open or secret diplomatic relations with this occupying regime or support America's moving of its embassy to Jerusalem will not solve the problems of the Zionist regime," he said. Khamenei reiterated the sentiments in a post on his official English-language Twitter account Friday. "The #ZionistRegime will not last. All historical experiences imply that with absolute certainty. Undoubtedly the Zionist regime will perish in the not-so far future," he wrote. The #ZionistRegime will not last. All historical experiences imply that with absolute certainty. Undoubtedly the Zionist regime will perish in the not-so-far future. Khamenei also called, in the speech and on Twitter, for a referendum to be held by "real Palestinians," including Muslims, Christians and Jews — referring to Jews who lived in the country before Israel's founding in 1948 — that would determine the nature of the post-Israel government of Palestine. "Like all free countries, people of #Palestine--real Palestinians--should be polled to determine the political system of Palestine; that governing body will decide on future of immigrants in Palestine. There's no other solution and this leads to the elimination of the Zionist regime," Khamenei wrote on Twitter. Like all free countries, people of #Palestine--real Palestinians-- should be polled to determine the political system of Palestine; that governing body will decide on future of immigrants in Palestine. There's no other solution and this leads to elimination of the Zionist regime. Khamenei first proposed the idea of a referendum to determine the future of Palestine in a speech to university professors on June 13. Tensions between Iran and Israel have heightened in recent months over Iran's involvement in Syria's ongoing civil war and the America's withdrawal from the 2015 nuclear accord, a move long advocated and encouraged by Israel's Prime Minister Benjamin Netanyahu. BREAKING: Ex-Israeli 'NSA' chief: 1st cyber target in conflict with Iran, Hezbollah should be their energy infrastructure. Major pillar economy, state's cardio-vascular system. The former head of Israel's 'NSA,' Ehud Schnerosen said on Sunday that the first cyber target in any future conflict with Iran and Hezbollah should be their energy infrastructure. Speaking at a major cyber conference taking place in Israel, Schnerosen referred to the energy sector as a "major pillar economy, state's cardio-vascular system." "We should not attack water, food, healthcare on ethical grounds, and should not attack banks because of the potential butterfly effect," said Schnerosen. "The next 9/11 in cyber will be energy sector." Over the weekend I spoke with Russian President Vladimir Putin and with US Secretary of State Mike Pompeo. We discussed regional issues and focused – of course – on Syria. I reiterated our guiding principles regarding Syria. First of all, Iran needs to withdraw from all of Syria. Second, we will take action – and are already taking action – against efforts to establish a militarily presence by Iran and its proxies in Syria both close to the border and deep inside Syria. We will act against these efforts anywhere in Syria. Netanyahu: I have repeatedly clarified the basic principles that guide us in relation to Syria. First of all, Iran needs to get out of Syria. Second, we'll act and are already working against attempts to consolidate Iran and its proxies both near the border and deep inside Syria. Every few weeks I hear something new about #Hamas in #Lebanon. You know who’s name keeps popping up? Saleh al-Arouri. The #Qassam leader who helped orchestrate the kidnapping of 3 Israeli teens in ‘14. He’s been cozying up w/ #Iran & is definitely got the attention of #Israel. BREAKING: Ex-IDF intel chief Yadlin: If Iran goes nuclear, Trump will NOT attack. It will fall on Israel. So maybe leaving Iran deal brought war closer between Iran-Israel. Last week's summit between US President Donald Trump and North Korean leader Kim Jong Un means Iran will probably not come back to table, the IDF's former intelligence chief Amos Yadlin said on Sunday. As a result, Iran will renew uranium enrichment and go for the bomb, he added. Yadlin, who was speaking at a major cyber warfare conference at Tel Aviv University added that "If Iran goes nuclear, Trump will not attack it and it will fall on Israel to do so." "Maybe leaving the Iran deal brought war closer between Iran-Israel," suggested Yadlin. LOL, I was typing and C&P the article while you were posting. It seems we have similar thoughts. Syrian rebel sources claim up to 500 Iranian-backed militia and members of Hezbollah changed uniforms and are digging in near the Golan in preparation for a major offensive. Hezbollah and Iranian-backed Shi’ite militias are concentrating in an area dubbed the ‘triangle of death’ near the Golan Heights as the Syrian regime prepares its major post-Ramadan offensive. The offensive is designed to defeat the rebels in southern Syria and has raised concerns in Jerusalem, Washington, Moscow and Amman as a potential crisis looms. This comes as Israel continues warning the Syrian regime to remove Iranian forces from the country. On Sunday, Prime Minister Benjamin Netanyahu said that he had reiterated Israel’s demand that Iran withdraw from all of Syria in conversations with Russian President Vladimir Putin and US Secretary of State Mike Pompeo over the weekend. With the defeat of Syrian rebels in Damascus, the regime has begun to concentrate forces along its long front line that stretches from the environs of the southern Damascus countryside down to Daraa near the Jordanian border. This front line ranges from 10 kilometers to just one kilometer from the Golan. According to foreign reports, Israel previously stressed to Moscow and Washington that Iranian forces must be kept between 40-60 km away from the Golan border. However, Syrian rebels have accused the Iranian forces and Iranian-backed militias, such as thousands of Shi’ites recruited from Pakistan and Afghanistan, of changing uniform and pretending to be regime soldiers. Bassam Jaara, a commentator on the conflict, asserted on June 15 that there were suspicious movements of Iranian-backed forces north of Daraa. In the lead up to the end of Ramadan, which is supposed to be a joyous and peaceful time, the regime escalated shelling in the 'triangle of death’ area, not far from Quneitra and Daraa. The villages of Akraba, Kafr Shams and Alhara were struck with shells fired by the regime according to a report at Orient.net. Rebel activists told the Arabic website that Iranian-backed militias and Hezbollah carried out the attacks. The latest reports strengthen Syrian rebel claims that various militias had “changed their uniforms to those of the sectarian Tiger militia,” a regime unit. These allegedly included members of the Quds Brigade, which is Palestinian, and Abu al-Fadl Abbas, a Shi’ite unit, as well as Hezbollah. A source close to the Syrian rebels said the claims were accurate. “Yes, it is right and more details will emerge today,” the source said. “In short the regime forces are crowding into the area of north Daraa in this triangle of death area because the offensive will include Quneitra.” Any regime movement toward Quneitra, the Syrian rebel held area along the Golan, would be highly sensitive to Israel and risk spillover conflict or the flight of refugees from the shelling. Despite promises from the Russians, #Iran will move its forces in #Syria onto the frontline with #Isrsel. https://thearabweekly.com/iranian-mi...lt-daraa-looms … by @James_P_Snell for @ArabWeekly, ft. @PhillipSmyth, @ryanmofarrell, @hxhassan, and @AcrossTheBay. Reports would suggest a high degree of integration between foreign militias and the Assad regime’s military. Iranian support for Syrian President Bashar Assad is long standing. Much of that support has been through Iran’s proxies and allied militias. Some of these, such as the Lebanese group Hezbollah, have contributed thousands of men who have fought in Syria on the side of the regime. These groups are tightly integrated into the regime’s war effort and are essential for its survival. Hezbollah units fought in campaigns to secure the regime’s control of Damascus and its surrounding areas. Two Hezbollah fighters were killed in a suspected Islamic State attack in Deir ez-Zor province, showing the extent of Hezbollah’s presence across Syria. Militias linked to Iran are vital to Assad and discomforting for his enemies. Israel worries about their proliferation. Israeli politicians, fearful of Hezbollah’s increased dominance of Lebanon, do not want Iranian proxies to establish a base near the Golan Heights, a Syrian border area Israel has occupied since 1967. Israel has persistently struck Hezbollah targets inside Syria, including supply routes and encampments. After Islamic Revolutionary Guard Corps (IRGC)-linked groups fired missiles across the Syrian border into northern Israel, Israel answered with air strikes hitting more than 70 targets in less than four hours on May 10. 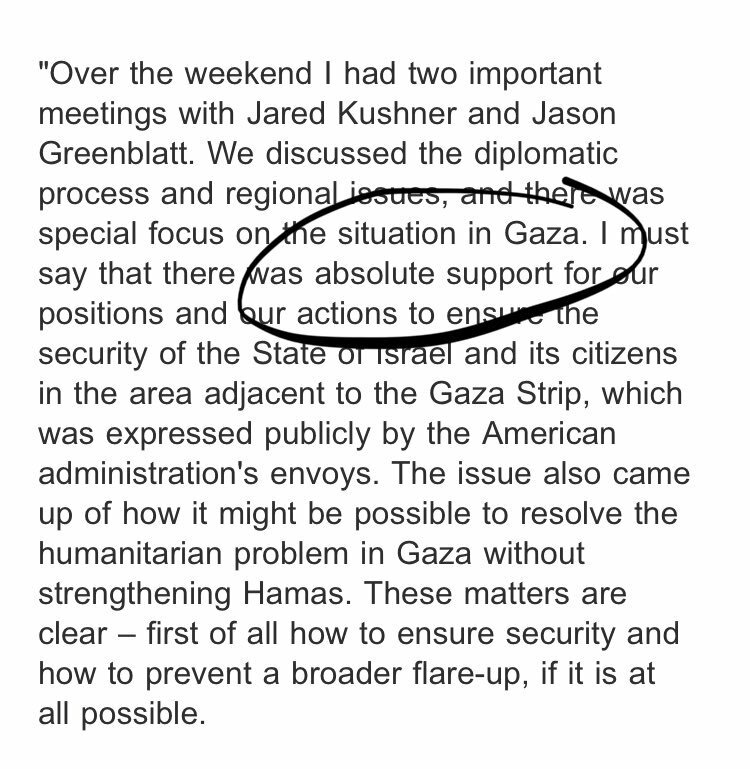 This came after Israeli generals and a junior minister threatened that, if Iran acted aggressively towards Israel, the latter would overthrow the Assad regime. Though Israel’s reaction to the missile attack was likely greater than had been expected, it did not include an overt attack on the regime. Syrian rebel sources have suggested that militias linked to Iran were taking advantage of the situation by wearing the uniforms of Syrian government troops to avoid Israeli attack. If confirmed, the reports suggest a high degree of integration between foreign militias and the regime’s military. They would also give the lie to the idea that Iran and Assad could be dissociated or prised apart. Analyst Ryan O’Farrell expressed scepticism about the reports, saying the climate existed for close coordination between the regime and its Iran-marshalled allies. “Iran and its various foreign proxies have been very open about their intentions to open a new front against Israel along the Golan if a new war breaks out and Israeli strikes on Iranian targets in Syria have massively accelerated despite Russia’s intensive efforts to negotiate some sort of deal with Israel,” O’Farrell said. In any case, Iranian forces will operate in southern Syria with or without Russian approval. Hassan Hassan, a senior fellow at the Tahrir Institute for Middle East policy, said: “The south-west, from east of Sweida near al-Tanf all the way to the Israeli border, was supposed to be a zone free of Iranian forces. Russia made it clear it was able to deliver on a form of that zone but it has not always been successful, except when Iran wanted to play along. “Recently Iran sent troops from Damascus to Daraa, apparently without going through the Syrian and Russian governments,” Hassan said. “The Israelis spoke, for instance, about concerns about the fifth regiment, [which has] Shia militias embedded into it,” Badran said. “Given the current move in southern Syria targets Iran-controlled proxies and the IRGC, I’d assume any of the fighters reflagging would belong to those groups, particularly Lebanese Hezbollah,” Smyth said. Whether or not these reports are true, Iran-linked militias will seek to maintain their place in southern Syria. As part of the regional axis of resistance, it is their intention to challenge Israel. I posted about the strikes on the "War" thread yesterday. So US is saying it was Israel that did it. UPDATE: Syrian military says there are a number of casualties after a U.S air-strike targeted a Syrian military position in al-Harri south East of Al-Boukamal in #DeirEzzor, unconfirmed reports there were also Hezbollah and Iranian forces at that position. UPDATE: U.S official tells CNN that the air-strike targeting pro-regime fighters close to the Iraq-Syria border Sunday was carried out by Israel, at least 50 fighters were killed and dozens more injured. I didn't realize how close to Israel this area is and it's even closer to Jordan. I think things could easily go hairy-scary quickly. I don't think Israel will like it any more than they did the fighting up in the upper Golan area. #UPDATE: Syrian Arab Army storming units arrive to Dar’aa, offensive to retake Southern Syria to begin in days. 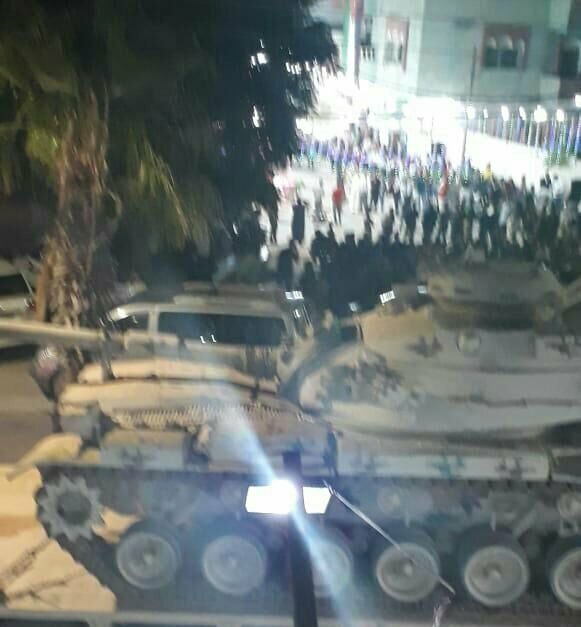 Massive columns of hundreds tanks, howitzers, technicals and armoured vehicles (APC’s and BMP’s) have arrived and tens of thousands of soldiers ready. Tigers present. Now to hope things don't start popping between Israel/Syria/Iran over this. ETA: I don't know how far away from Daraa they still are; I'm sure there are several villages and quite a bit of land that has to be taken while they fight their way there. Last edited by Lilbitsnana; 06-18-2018 at 05:52 PM. No truth in the news about the battle of Daraa starting (today), the battle will begin in the next few days. Indeed. You won't hear anything about this on the MSM. That's for sure. There are some folks here that do an incredible job of news gathering. Hats off to them. The Syrian Air Force has conducted at least 60 airstrikes against terrorist positions in #Daraa this week alone. Main offensive is yet to begin. Intense #SAA airstrikes & bombardment on Hrak in East #Daraa CS. 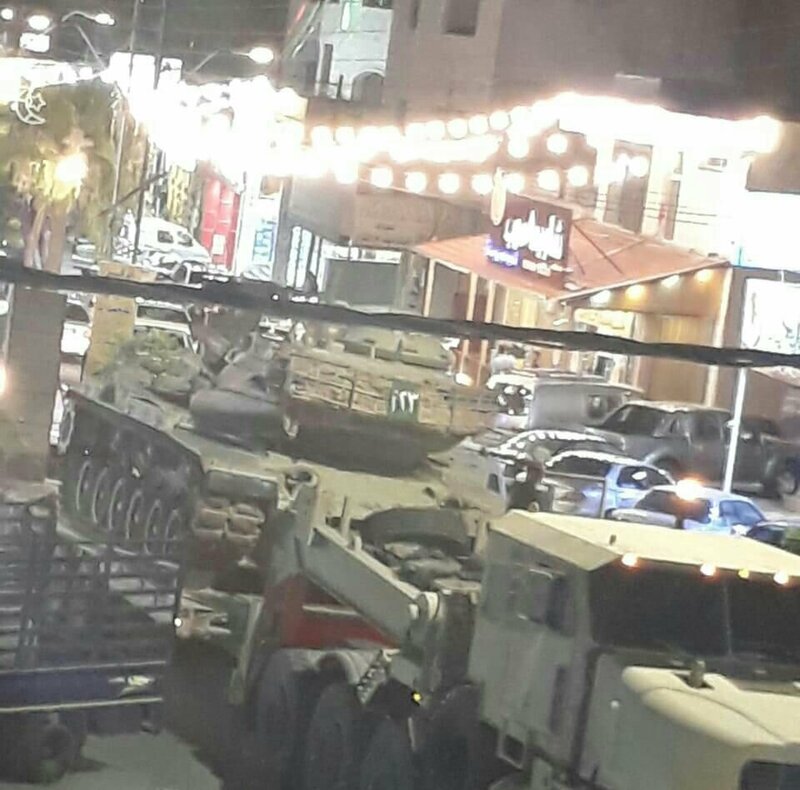 Jordan has deployed multiple armored units along the border with #Syria as #Daraa offensive nears. First heavy air strikes by the Assad regime on civilians in Daraa province. No reaction by the US despite the promise to maintain security in the area - so far. Offensive in #Daraa will begin any moment now. Expect a massive bombardment of rebel positions, with possible close air support from Russia. My concern is how close all this will be taking place to Jordan and Israel, it's not like "accidents" never happen. #URGENT: The long awaited #Syrian Daraa Offensive has reportedly begun, two towns have already been captured and plenty more are expected to get captured soon. BEIRUT, LEBANON (6:00 P.M.) – The Syrian Arab Army (SAA) launched their long-awaited southwest Syria offensive, today, a military source told Al-Masdar from Izra’a. Led by their Tiger Forces, the Syrian military began the offensive by storming the towns of Deir Dama and Al-Bustan in the Lajat area. A fierce battle would ensue between the Syrian Army and jihadist rebels of Hay’at Tahrir Al-Sham; it would end with the latter retreating from both Deir Dama and Al-Bustan. Following the capture of these two towns, the Syrian Army pushed their way along the Al-Sweida Governorate border, seizing several farms and points that have been under the control of the jihadist rebels for over five years. According to a military source in the government stronghold of Izra’a, the Syrian Army is attempting to take advantage of the fractured rebel defenses in northeast Dara’a in order to capture new positions. Once these new positions are captured, the Syrian Army plans on working their way around the rebel stronghold of Busra Al-Harir and eventually besieging this important town located just east of Izra’a. The military source told Al-Masdar to expect more advances in the coming hours, as the jihadist rebels are retreating from several sites around the Al-Lajat region. #Daraa: Hezbollah terrorist has been killed in eastern Daraa today by Rebels. Proofs that all claims by the regime that only Syrian army and Russian soldiers are involved in Daraa battle are false. Also pro Iranian and Hezbollah militias are involved! Report: Iran's senior Republican Guard and 15 troops killed by Israeli jets on the Iraq-Syria border. 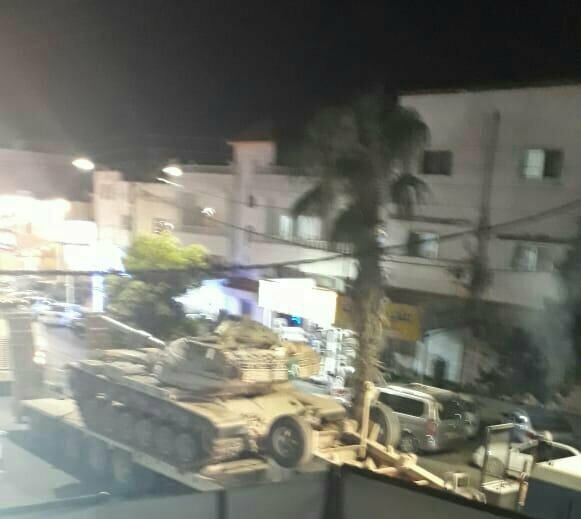 BREAKING: A patriot surface-to-air missile was fired by the Israeli air-force a short time ago in Northern Israel near the border with Syria, the target was towards the Syria side of the border, reason unknown at this time. IDF confirms the Patriot was fired, says the target was an incoming drone from Syria. No hits were reported, but the aircraft retreated back toward Syria. The IDF does not immediately identify the operator of the drone. Last edited by Lilbitsnana; 06-24-2018 at 08:27 AM. The Duke of Cambridge has landed in Amman, Jordan. Over the next five days The Duke will visit Jordan, Israel, and the Occupied Palestinian Territories – and is looking forward to building a real and enduring relationship with the people of the region. Kensington Palace twitter switches to Arabic. Palestinian Ministry of Information describes #Kuchner's interview with @alqudsnewspaper as "inciting against the Palestinian leadership, aimed at flattening the #Palestinian issue, violating international law and calling for normalization"
#Breaking: Getting many reports of jets flying over much of central #Israel for the last hour. Interesting..
#BREAKING: Syria: Syrian Air Defenses activated against unknown aircraft in the area. More details will follow. UPDATE: Syria - Explosions being heard in the Damascus region around the Damascus airport from apparent missile attack, anti-aircraft operations underway. Now, it could be from anyone, but since IAF flew out earlier, I just thought I would cover the bases.